Paul is a Chartered Member of IOSH. With over 15 years’ experience in the development and implementation of Health, Safety, Quality and Environmental management systems, hel has covered projects across Ireland and the UK. Paul followed up his studies in Construction at LIT with a Masters͛ in Safety & Health at Work from DCU. He also holds a post graduate diploma in Environmental Management. 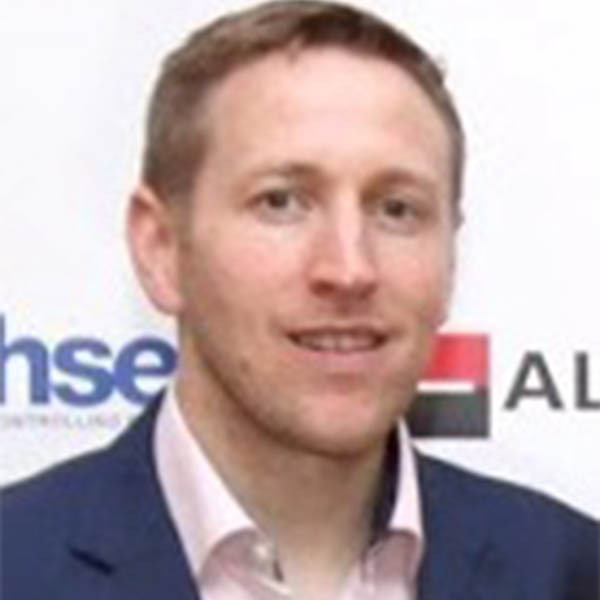 He is an active member of the CIF Construction Senior Safety Advisors Group and is Secretary of the IOSH Ireland Construction Section. Steve is a Chartered Member of IOSH, a Practitioner of IEMA and an Honorary Fellow of BOHS. With a Masters͛ degree in Health, Safety & Environment, he progressed into HS&E management through his career in engineering within the nuclear industry and also through the manufacturing sector. With over 20 years͛ experience in the development and implementation of effective strategies, policies and systems in engineering and construction environments, Steve has worked for Nuclear Electric, Procter & Gamble, the Engineering Employers͛ Federation and Siemens Energy before joining Europe͛’s largest infrastructure project, Crossrail, in April 2012 as Director of Health & Safety. He is Chair of the Board of Trustees for Mates in Mind (the mental health charity for UK construction), President of the Construction Health & Safety Group, Chair of the Infrastructure Client Group (H&S), an Executive member of the Health in Construction Leadership Group and Chair of the Transforming Tunnelling Safety Group. Steve also represents Tideway on a number of Health & Safety groups including the Construction Client͛s Health & Safety Group and the London Health & Safety Leads Group. 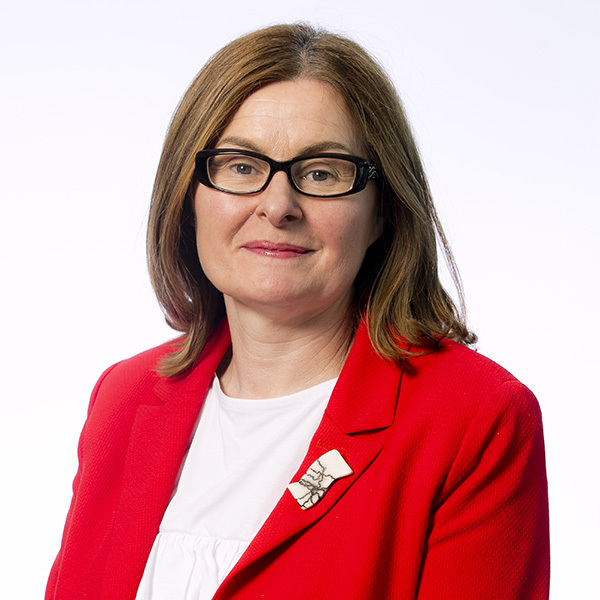 Sharon is the new Chief Executive of the Health and Safety Authority and has been Chair of the European Chemicals Agency (ECHA) Management Board in Helsinki since 2016. She has been the Irish representative to the ECHA Management Board since September 2014 and prior to her CEO role, she was Assistant Chief Executive for the Chemicals and Prevention Division in the HSA since 2006. Prior to joining the Health and Safety Authority, she worked in government affairs and global chemical regulations for Hewlett-Packard and also with the European Chemicals Bureau as a Scientific Officer in relation to classification and labelling. She has also previously completed post-doctoral toxicology fellowships in academia and industry in the USA. After realising the multiple benefits BIM could bring to engineering and construction for all project stakeholders whilst working as a Quantity Surveyor, Ian decided to change course to pursue a career in ensuring the successful implementation of BIM in the industry. From initial beginnings leading task teams for modelling for quantification and costing (5D) of major projects, Ian has sought to both become an expert on the standards which drive BIM Level 2, and to provide guidance and assistance to those trying to implement them successfully, achieving personal industry accreditation through the award of the Building Research Establishment’s BIM Certificated Practitioner status. Now, as a Digital Delivery Lead at Jacobs, a global provider of technical, professional and scientific services, Ian is a key player in internal company BIM implementation initiatives as well as heading up Jacobs’ BIM Services which provides a broad range of organisational level BIM advisory offerings to Jacobs’ clients including standard documentation preparation, standards and strategy reviews, and organisational BIM implementation amongst many other services. Alongside BIM, information security is a keen interest of Ian’s which has seen him develop an in-house company standard practice for the delivery of projects to PAS1192-5 and provide advice to project teams in order to ensure their compliance. A dedication to sharing knowledge about BIM Level 2 to all involved at any level within the industry is a passion of Ian’s and it is something which has seen him take the lead in the development and delivery of non-software training at Jacobs alongside a recent position with the UK BIM Alliance’s National Upskilling Stream. 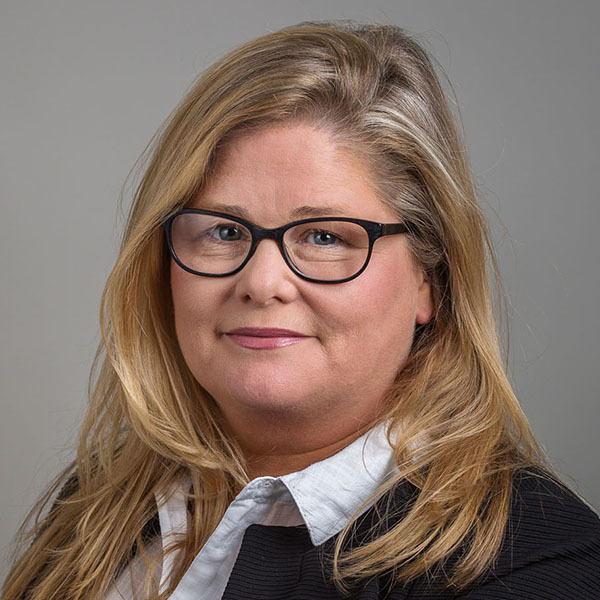 Loughlin Deegan is a partner in the ByrneWallace Employment Team and is the chairperson of the Employment and Equality Law Committee of the Law Society of Ireland. He previously worked as a solicitor in Ibec and as Special Adviser to the Attorney General. He represents and advises clients across the full range of contentious and non-contentious employment law matters. He has advised and represented a significant number of major Irish public sector employers, in addition to major Irish and multi-national companies. Loughlin has also acted in contentious employment matters and industrial disputes. As Head of Business Excellence Certification at the National Standards Authority of Ireland (NSAI), Fergal manages a wide client base of companies who typically are certified to the Quality Management System ISO 9001 with increasing numbers adding on Occupational Health & Safety Certification OHSAS 18001/ISO 45001, the Environmental Management System ISO 14001 and ISO 27001 Information Security. The Business Excellence Certification division also deals with such issues as Social Responsibility based on ISO 26000, the Human Resource Specification ‘Excellence Through People’ and PEFC Forest Management & Chain of Custody. The Client base ranges from the very small SME service companies to Ireland largest indigenous and FDI companies. The division consists of a team of 31 auditors based throughout Ireland, with audits taking place across all continents. Fergal holds an MSc in Civil Engineering from Queens University Belfast, a Postgraduate Diploma in Occupational Health and Safety from DCU as well as qualifications in Environmental Management, European Law and Quality management systems. 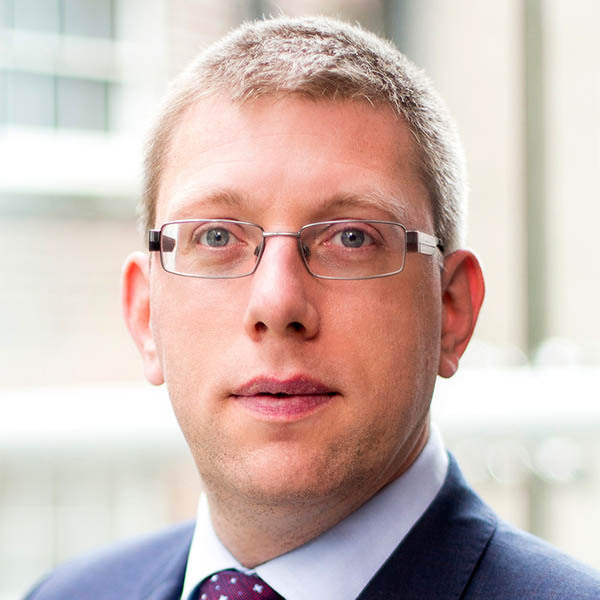 He represents NSAI at IQNeT the global network of National Certification Bodies and has represented Ireland on the Group of Notified Bodies for the implantation of the Construction Products Directive under the auspice of the European Commission. He is a Fellow of the Institute on Concrete Technology (UK) and maintains Lead Auditor status. Kathy graduated from Trinity College Dublin with a degree in civil engineering and worked in design and construction companies in the UK and Australia before returning to work with Ascon, now BAM Ireland. Whilst working on the Intel FAB 14 with the company she completed a degree in Occupational Health and Safety and became Health and Safety Officer for the company on that project. She subsequently became Assistant Health and Safety Manager and eventually Health and Safety Manager. Having acquired a Diploma in Environmental Management she also manages the environmental and sustainability function in the company after the company acquired the ISO 14001 standard. She is a Fellow of Engineers Ireland, Chartered Member of IOSH and Member of IIRSM. Brian has been a Project Director with Sisk for over 13 years, with a proven track record of delivering major projects. As a chartered engineer with an MBA qualification, Brian has successfully delivered projects in many sectors including pharmaceutical, industrial, residential, retail, hospitality and leisure. Brian has a passion for delivering projects in a collaborative environment utilising lean processes and embracing innovative methods of construction to ensure a safe delivery. Simon Joined BAM in 2015 in the position of BIM Deployment Specialist. Simon has 20 years surveying industry experience is a former Treasurer for the Irish Institution of Surveyors and he has been engaged though out this time in Survey management, Training, Consultancy and Technical support roles. Simon has been responsible for the development of high performance teams for the delivery and support of lean process technologies across multiple high value projects, which better enable the successful on-time delivery of the project. Spatial technologies and large scale data management form a large part in Simon’s interest in BIM technologies. He has managed the control of spatial data process implementation on many large and complex projects within very tight timeframes. Simon is currently involved in the implementation of Lean, quality and safety systems for the new National Childrens Hospital in Dublin. Simon was heavily involved in the successful asset delivery to FM in across Ireland’s first publicly procured BIM level 2 maturity project. The Schools Bundle 4 PPP tender was the first public tender competition held in the Irish state which had a BIM level 2 mandate as part of its ITN (Invitation to Negotiate). Simon is an active participant in BAM’s cross operations work groups for the development of BAMs digital st BIM and Spatial technologies. Cathy has over 20 years’ experience within the utilities and general construction and civil engineering industries both in the UK and Ireland. She commenced her career with Murphy in the North West Division of the Group and was based in Golborne, Warrington. Cathy successfully delivered her responsibilities as health and safety advisor across all Murphy projects in North West England and Wales. The expanse of her remit extended right across the spectrum of construction and civil engineering such as railway station buildings (live environment), railway infrastructure projects (live operational railway), gas pipelines, drainage networks and utilities infrastructure works (live city streets). Cathy has been responsible for successfully gaining ISO 9001, ISO 14001 and OHSAS 18001 accreditation in 3 Business Units within the Murphy Group of Companies, establishing HSQE policies, systems and processes and ensuring compliance throughout. Most recently, Cathy was responsible for championing the Structural Steel Business Unit in attaining accreditation to, BS EN 1090-1:2009 + A1:2011. Cathy has a strong commitment to exceeding HSQE requirements and standards and actively promotes the philosophy of a ‘no harm’ culture on all projects, not only in health and safety, but also in quality and environmental matters. Ian Lynch, Head of Health, Safety and Wellbeing, L&M Keating Ltd.
Ian has worked for L&M Keating Ltd. since 2001. He is also a County Councillor, community activist and voluntary search and rescue member. Ian is an advocate that the workplace provides a positive influence on employees lives and the opportunity to present employees with life choices that can benefit their lifestyle change to produce a healthy body and mind to enjoy life to the full. Ian recently developed L&M Keating’s employee wellbeing programme which has become the first construction company to successfully achieve the IBEC Keepwell Mark. 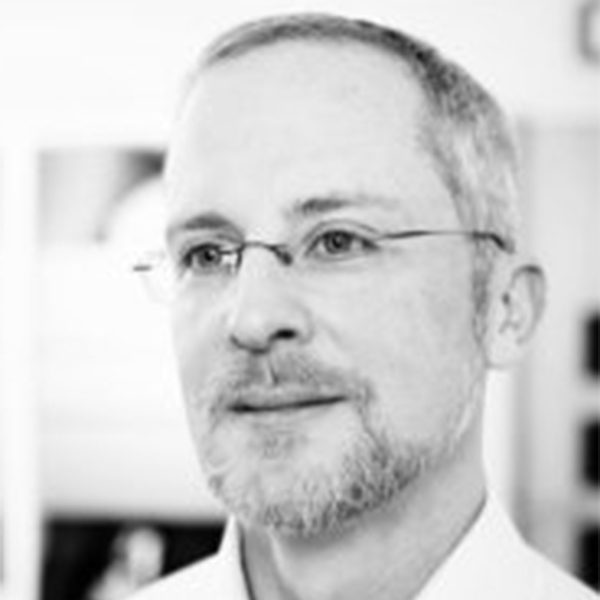 Michael manages a team of over 40 EHS professionals across EMEA, with a workforce of over 3,000 personnel. Mercury is the largest direct employer in the Irish construction industry and has always been innovative in driving continuous improvement. Michael has over 20 years’ construction industry experience, 15 in QEHS and three in civil engineering. He is MBS qualified and has been working in the construction industry for 26 years. Michael is a key member of the Temporary Works Design Committee and is a member of the CIF Training Committee which is reviewing industry-wide standards and requirements in line with best practice and new technology. He is also chair of the RCSD workgroup which has formed clear guidance for all CIF members on eliminating / mitigating the harmful effects of silica dust, a confirmed carcinogen. He has presented the Mercury clean build philosophy incorporating RCSD management to FEIC as part of the consultation process in 2018 with their EU partners. John was appointed to his current role in 2017, having joined the charity in 2009. Prior to joining Inspire John worked for 19 years in the pharmaceutical industry in a variety of sales, management and healthcare development roles. As Group Director, John has responsibility for the development and delivery across the UK & Ireland of Inspire’s Workplace, Student and Knowledge and Leadership services. Since joining Inspire John has overseen significant growth in the provision of workplace wellbeing services, reaching almost 1m employees in all sectors across the UK and Ireland. MyMind Centre for Mental Wellbeing is a not-for-profit social enterprise that provides affordable and accessible mental health services within the community. Carmen leads the Communications Department for a team of 90 international mental health professionals, who offer counselling and psychotherapy support in more than 17 different languages, face to face, online and in the workplace. MyMind was set up in 2006 in response to Ireland’s complicated mental health system. It is the first and largest third sector organisation providing blended (face to face and online) mental health services in Ireland. With five national centres in Ireland, MyMind is bypassing the need for clinical referral, long waiting lists and high-cost services, empowering people to directly access mental health supports when they need them. By offering early intervention support, MyMind drives a model that helps to build people’s resilience, reducing suicide rates and preventing the necessity for long-term treatment. Before moving into the charity sector, Carmen worked as a print and online journalist for more than 10 years, writing for regional and national titles on topics around mental health and system reform. She sits on the advisory committee for the national mental health Best Practice guidelines, and is passionate about her role in creating equal access to service, to create the best recovery outcomes for those who need support. 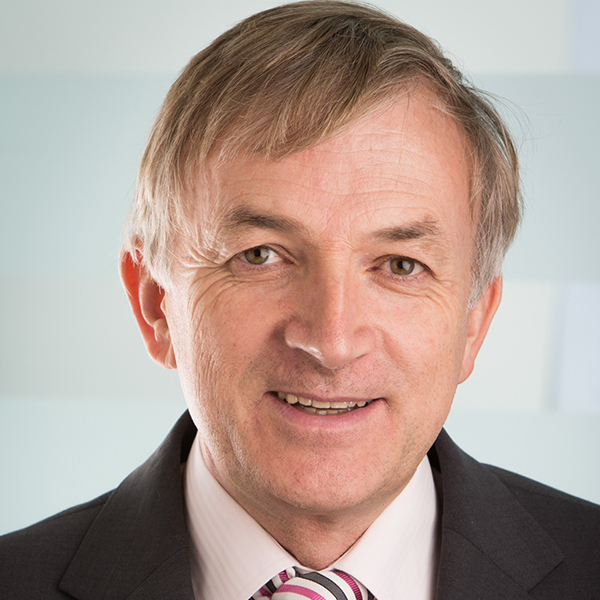 Fergus joined Irish Water in 2013 where he was responsible for the delivery of capital projects including the metering rollout .Prior to that he has worked with contractors for over 30 years in Ireland and overseas and is a past President of the Civil Engineering Contractors Association. Having worked as both as an employer and a contractor Fergus has a unique insight and passion for collaborative working to ensure the safest possible working environment for those who deliver Irish Water projects. 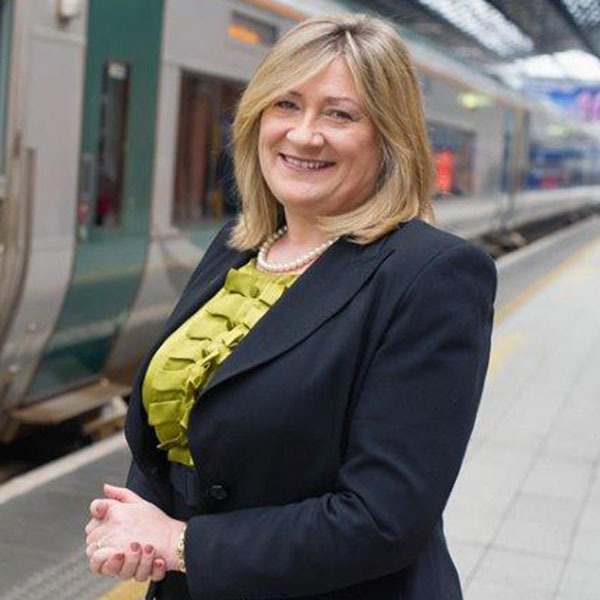 Kay joined Iarnród Éireann in 1982, and has worked in a range of roles across the company, including train operation, freight and infrastructure. These include Operations Safety Manager and Head of Safety, Infrastructure Manager. Kay’s current role is to lead the development of safety strategy and policy and provide impartial expert advice across the organisation.